Lenders led by the State Bank of India are confident of pulling Jet Airways out of its financial woes by the end of this month. New Delhi: Lenders led by the State Bank of India (SBI) may soon pull out cash-strapped Jet Airways from its down spiraling fortunes before the end of this month, sources suggest. After its partner Etihad refused to rescue the airline from its dwindling cash reserves, the SBI said that reviving Jet Airways will be in everybody’s interests and in one of its first measures- the bank asked founder and chairman Naresh Goyal and three other company directors to step down from the board. The Abu Dabhi-based airline also asked SBI to buy its 24 per cent share in Jet Airways, which reports suggest the bank is not keen on buying. Etihad has also offered its 50.1 per cent stake in Jet Privilege to SBI. The SBI-lenders have not disclosed their plan to revive Jet Airways, yet, but are believed to rope in private domestic players among other investors. The Economic Times report also mentioned that a government official said the cash-strapped airline can be saved provided instant cash is pumped into it. While the SBI is trying to pull the airline back from the brink of collapse, it is not going to as easy. 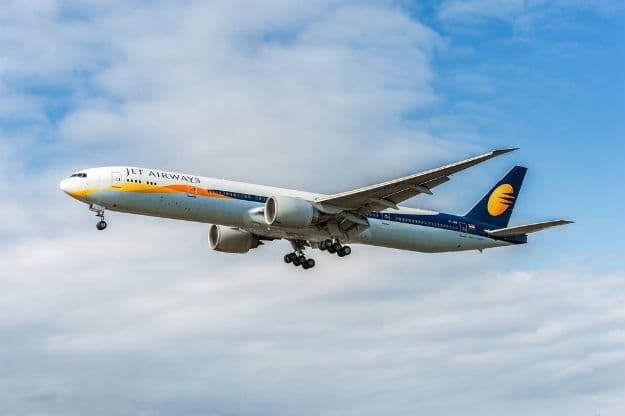 According to the Memorandum of Understanding (MoU) between Jet, lenders and Etihad, Naresh Goyal, his wife Anita Goyal, Executive Director Gaurang Shetty and Independent Director Nasim Zaidi will have to quit the board in order for the airline to be eligible for fresh funding. If they don’t, then the matter is likely to complicate with further non-payment of salaries and grounding of jets to become a norm. Meanwhile, the pilots’ union of Jet Airways has threatened to stop flying from April 1 if clarity on the resolution plan is not brought to their notice by March 31.